By default, WordPress will get your latest post for your front page. You’ll probably want to change this. What you have to do first is to create two pages, one for your Homepage and one for your blog posts. 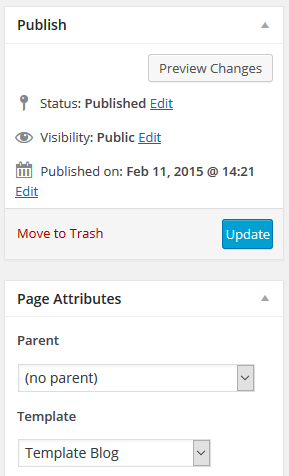 To assign them the right place you will have to go to Settings Reading in your admin panel. Select a static page and assign your pages to the right place. Now, head over to you Blog page and change it’s Template to Template Blog and Update the page.